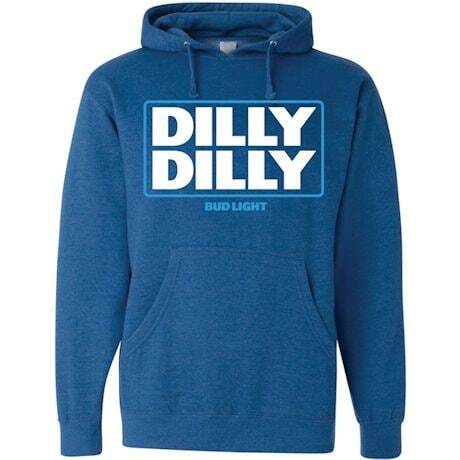 Two words say it all: greeting, approval, thanks, and "Beer me." 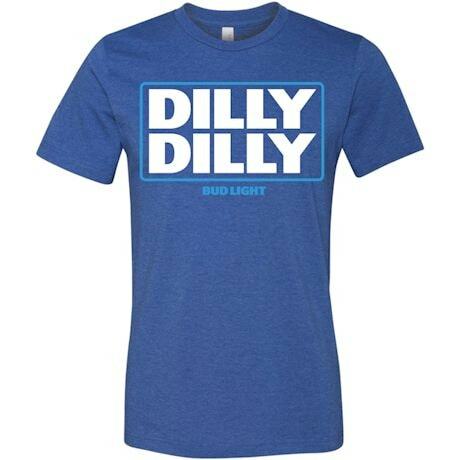 For the Dilly Dilly lover you know, these soft heathered shirts are an appropriately royal blue. Machine wash. Cotton/poly blends. Imported. M-XXL. 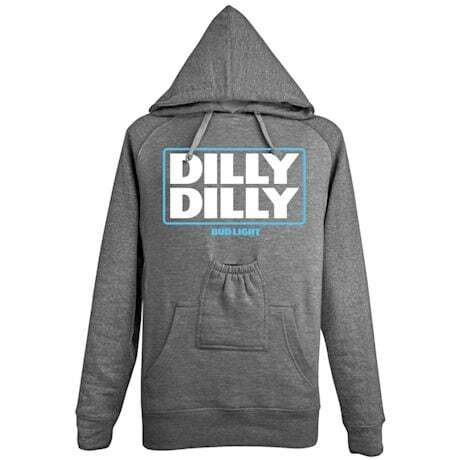 Choose T-shirt, Hoodie, or Beer Pouch Hoodie.